You are here: Home > Reviews > Product Reviews > What Are the Experts Saying About the DJI Mavic 2 Pro and the Zoom? It has been a long wait but finally, the DJI Mavic 2 Pro and DJI Mavic 2 Zoom drones are here. There are so many quality features to look forward to enjoying but more importantly, the customers have more questions than ever before. It’s probable that you want to know more about the cameras of the drones and whether they are an improvement over the previous designs. You may also be asking if the cameras are different from one another. Surprisingly, this is the first time ever that DJI, the Mavic 2 providers, has unveiled two drones at the same time without pointing out their obvious features. As a consumer, you are forced to do your own research and analysis to determine which drone is good for you. 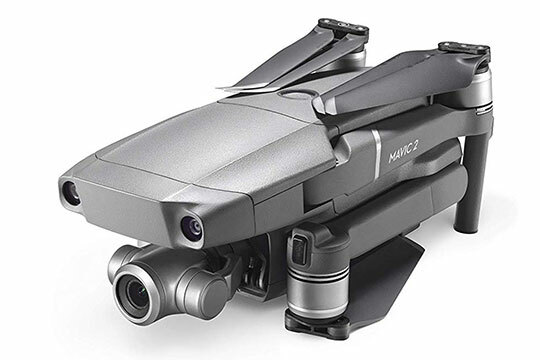 There are a couple of DJI Mavic 2 review which shares the in-depth info about the drones and what they do but if you need a quick comparison, read below. Luckily, we have gone the extra mile of doing the research on your behalf. 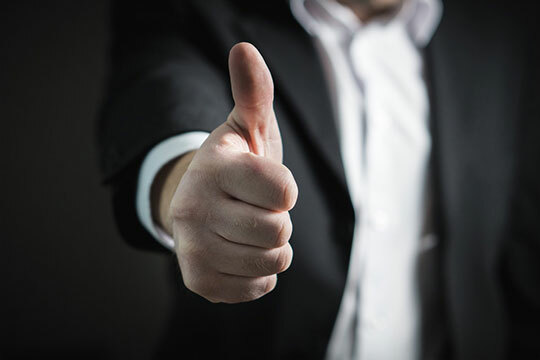 We have talked to experts in the field and here is a review that reflects their views. D-HDR: This feature allows you to take 17 raw photos and combine them in 14 stops (for the Mavic 2 Pro) and 13 stops (for the Mavic 2 Zoom). Hyperlight: This feature is similar to the HDR feature. It allows you to take a series of images and combine them to improve their overall quality. The advantage of hyperlight over HDR though is that there is no noise when shooting the footages. In both cameras, you are provided with low-light settings to improve your shooting at night. HEVC: This is a video compression feature that helps to maintain a similar quality in the footages all through while occupying just a half of the storage space. This means that you are able to record twice as many footages without compromising on quality. High Bitrate: Bitrate is what dictates how much the footages are compressed. So, a higher bitrate means a lower compression rate. When the bitrate is high, the quality of the image is maintained throughout the shoot. 4K Videos: Both cameras have the power to record 4K videos at a maximum bitrate (100mbps). Recommended for you: DHD D5 RC Pocket Drone Review – All You Need to Know. 10 sensors distributed on all sides to prevent collisions. Advanced autopilot assistance for guidance. Automated light button for safe low-light landing. The main difference between the two drones is the camera. Design: Mavic 2 Zoom is best described as circular in design. It’s small and symmetrical. Because of the round design, it’s easier to buy ND (neutral density) filters. 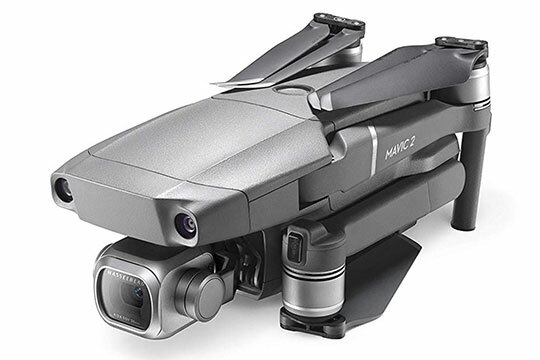 Mavic 2 Pro, on the other hand, is best described as squared in design. The camera size is larger because of a sizeable sensor. Zoom: The Mavic 2 Zoom derives its name from this feature. Unlike Mavic 2 Pro that has a fixed lens, the lens of Mavic 2 Zoom is flexible to allow zooming. You are guaranteed a 24mmm field of view at the wide end plus 48mm view at the narrow end. Unfortunately, you don’t get the zoom advantage with the Mavic 2 Pro. Its fixed lens gives you a 28mm field of view but it’s neither as wider nor as narrower as what you get from Mavic 2 Zoom lens. You only get a 1.4X zoom which is more like no zoom at all. Currently, the Mavic 2 Zoom retails at $1,249 while the Mavic 2 Pro costs $1,449. The $200 price is not small and the only reason to explain it is the features. By paying an extra $200, you get more color profile, improved resolution, and better low-light shooting. So, yes you got it right – the Mavic 2 Pro has more to offer. Dolly Zoom: This is a quick shot mode that allows the camera lens to zoom slowly when the drone is flying backward. The feature creates a perceptive shift for taking quick shots. Continuous autofocus: This feature allows you to enjoy continuous contrast detection and phase detection. It allows you to continuously focus on an object. 10-Bit D Log-M: This feature makes the drone worth the extra $200. It’s the greatest feature of the Mavic 2 Pro since it allows you to get more colors at dynamic ranges from all angles. 4K lossless crop: This feature is meant to compensate for the lack of the zoom lens. You can shoot videos in a 4K mode and achieve 1.4X lossless image zoom. This means that you don’t need to scale the image resolution. You may also like: XIAOMI Mi Drone 4K Quadcopter Review – All You Need to Know. 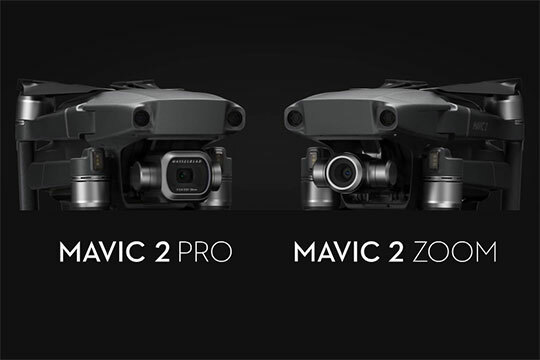 Generally, experts see the contest between Mavic 2 Pro and Mavic 2 Zoom as a hot one. So, it may be difficult to say that one drone is superior over the other despite their price variations. Using this unbiased DJI Mavic 2 review, however, you should be able to choose the option that suits your image shooting needs.